The Second Circuit Court of Appeals has ruled the NSA's warrantless mass call tracking program under which Verizon collected phone records of all of its customers is illegal -- it violates Section 215 of the Patriot Act. At issue was a FISA Court order requiring Verizon to turn over on “an ongoing daily basis” phone call details. The details included whom calls are placed to and from, when those calls are made, and how long they last. The order is here. The House today passed the USA Freedom Act -- after stripping it of several critical reform provisions. The bill was intended to end the NSA's bulk collection of our phone records. Instead, the bill is ambiguous at best, and at worst, can be viewed as codifying the NSA's authority for bulk record collection. A coalition of tech companies, including FB, Google and Yahoo, warn "the revised version creates an "unacceptable loophole that could enable the bulk collection of internet users' data." The version that passed the House contains changed definitions, weakens the reforms to Section 702 of FISA, and has no provision for introducing a special advocate in the FISA Court. Check out the latest from The Intercept (Ryan Devereaux, Glenn Greenwald and Laura Poitras), Data Pirates of the Carribean, on an NSA and DEA program called "SomalGet", which is part of MYSTIC. NSA and the DEA have been recording every phone call in the Bahamas without the knowledge of the Bahamian government. [The NSA] appears to have used access legally obtained in cooperation with the U.S. Drug Enforcement Administration to open a backdoor to the country’s cellular telephone network, enabling it to covertly record and store the “full-take audio” of every mobile call made to, from and within the Bahamas – and to replay those calls for up to a month. The program has also been used in Mexico, the Philippines, and Kenya. [W]hile MYSTIC scrapes mobile networks for so-called “metadata” – information that reveals the time, source, and destination of calls – SOMALGET is a cutting-edge tool that enables the NSA to vacuum up and store the actual content of every conversation in an entire country. The Guardian and Washington Post have won gold medal Pulitzer Prizes for their coverage of the National Security Agency's secret electronic surveillance program. The announcement is here. The full list of winners, with citations, is here. For a distinguished example of meritorious public service by a newspaper or news site through the use of its journalistic resources, including the use of stories, editorials, cartoons, photographs, graphics, videos, databases, multimedia or interactive presentations or other visual material, a gold medal. Awarded to The Washington Post for its revelation of widespread secret surveillance by the National Security Agency, marked by authoritative and insightful reports that helped the public understand how the disclosures fit into the larger framework of national security. President Obama today released his reforms to the NSA's bulk data collection program. 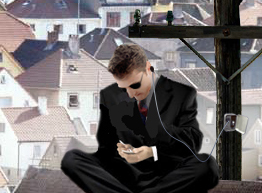 TAO and ANT: The NSA's "Office of Tailored Access Operations"
Der Spiegel has several feature articles this week on the NSA's backdoor program TAO, which stands for "Tailored Access Operations." This is the NSA's top operative unit -- something like a squad of plumbers that can be called in when normal access to a target is blocked. According to internal NSA documents viewed by SPIEGEL, these on-call digital plumbers are involved in many sensitive operations conducted by American intelligence agencies. TAO's area of operations ranges from counterterrorism to cyber attacks to traditional espionage. Yin and Yang. Last week, federal Judge Richard J. Leon in Washington ruled the NSA's collection of mass telephone metadata was “almost Orwellian” and probably unconstitutional." Today, Judge William H. Pauley III in New York rules the opposite way, finding the NSA program legal under Section 215 of the Patriot Act and the Fourth Amendment. The ACLU says on to the Second Circuit Court of Appeals. The Obama Administration has released new documents to justify its increased NSA warrantless surveillance. The DNI announcement is here. The released documents are available here. A federal judge in the District of Columbia has granted a request for a preliminary injunction against the NSA preventing them from bulk collecting and querying of telephone record metadata, finding it likely violates the Fourth Amendment. In a 68-page ruling, Judge Richard J. Leon of the District of Columbia called the program’s technology “almost Orwellian” and suggested that James Madison, the author of the Constitution, would be “aghast” to learn that the government was encroaching on liberty in such a way. The FISA Court today released the August 29, 2013 opinion by FISA Court Judge Claire Eagen finding the NSA's mass telephony data program is constitutional and statutorily permissible. [B]ecause there is no cognizable Fourth Amendment interest in a telephone company's metadata that it holds in the course of its business, the Court finds that there is no Constitutional impediment to the requested production. 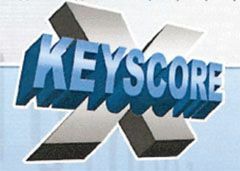 Via the Guardian: Edward Snowden's latest contribution to letting the world know what the U.S. Government doesn't want you to know: XKeyscore. Analysts can also use XKeyscore and other NSA systems to obtain ongoing "real-time" interception of an individual's internet activity. ....One top-secret document describes how the program "searches within bodies of emails, webpages and documents", including the "To, From, CC, BCC lines" and the 'Contact Us' pages on websites". Here's a NY Times article on today's hearing and the declassified documents. The Amash Amendment to end NSA's bulk electronic surveillance program will be voted on this week. "The amendment would prevent the NSA, the FBI and other agencies from relying on Section 215 of the Patriot Act "to collect records, including telephone call records, that pertain to persons who are not subject to an investigation under Section 215. "">will get a vote, probably Thursday. Debate is expected late today. The vote by itself will not restrict the surveillance, it would simply include Amash's amendment in the annual Defense appropriations bill, which the House is considering this week; the Senate must also approve the bill before it goes to President Obama's desk. The House Intelligence Committee supports it, the House Judiciary Committee opposes it. The 9th Circuit Court of Appeals in Seattle is hearing two cases today involving the NSA's warrantless wiretapping program. Two cases involving widespread warrantless wiretapping of U.S. citizens by the National Security Agency will face a major hurdle Wednesday in a federal appeals court in Seattle. A procedural hearing will be held to determine whether actions by the NSA and AT&T, which cooperated with the agency, can be challenged in court. The lawsuit claims that AT&T violated the privacy rights of its customers by allowing the NSA to occupy one of the company's switching stations in San Francisco and monitor its customers' e-mails and phone calls without a warrant.